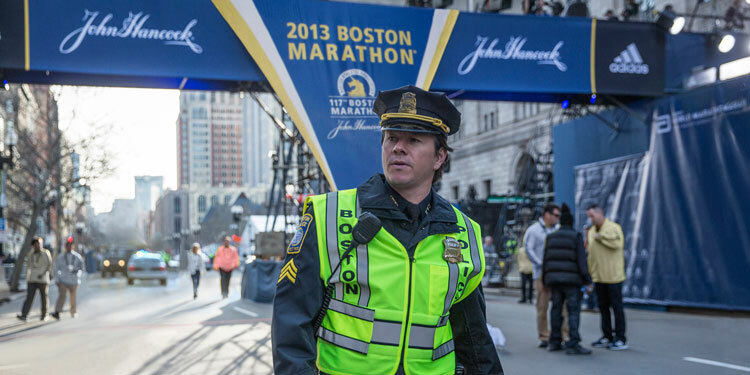 It’s April 15, 2013 and Police Sgt Tommy Saunders (Mark Wahlberg) is preparing to provide security at the annual Boston Marathon. Along with various other people, he’s hoping for a great, celebratory day. However, that is ripped apart when twin explosion go off near the marathon finishing line, killing and maiming those who were there to cheer the runners as they completed the course. Tommy immediately puts his training into action to help those affected, even though he and the other people around don’t know whether there are any other bombs timed to go off. Mark Wahlberg and director Peter Berg have only just been in cinemas with a film based around modern day disaster, with Deepwater Horizon. However, they’ll soon be back with another, Patriots Day, which has just dropped its first trailer. Here’s the synopsis: ‘An account of the Boston Marathon bombing, PATRIOTS DAY is the powerful story of a community’s courage in the face of terror. 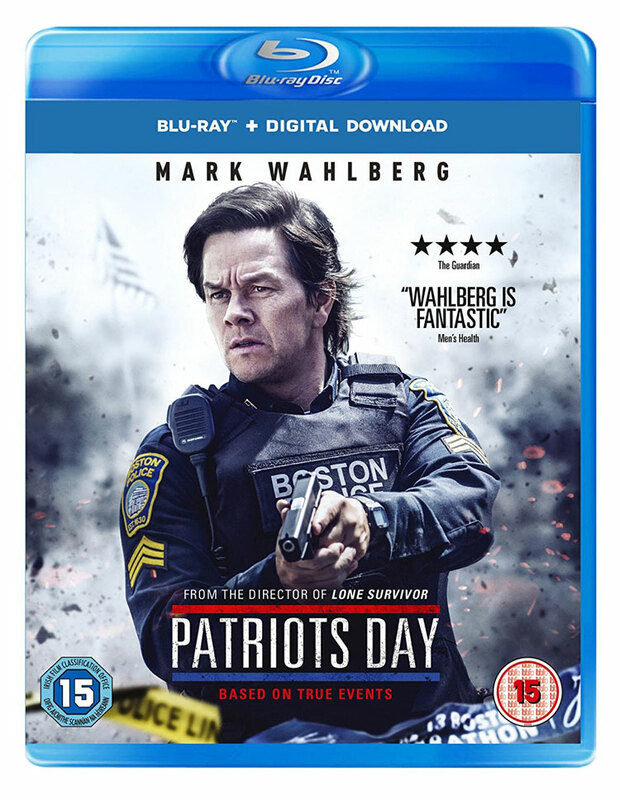 ‘In the aftermath of an unspeakable attack, Police Sergeant Tommy Saunders (Mark Wahlberg) joins courageous survivors, first responders and investigators in a race against the clock to hunt down the bombers before they strike again. Weaving together the stories of Special Agent Richard DesLauriers (Kevin Bacon), Police Commissioner Ed Davis (John Goodman), Sergeant Jeffrey Pugliese (J.K. Simmons) and nurse Carol Saunders (Michelle Monaghan) this visceral and unflinching chronicle captures the suspense of one of the most sophisticated manhunts in law enforcement history and celebrates the strength of the people of Boston. Things have gone crazy with the world in Pixels. For a start we’re supposed to believe the American people have voted Kevin James to be their President, and also that if the POTUS is your bestie, you’re still going to have to work as a home entertainment installer. If that doesn’t suggest things are bad enough, the world is suddenly attacked by aliens whose army takes the form of 1980s 8-bit video game characters – from Centipede to Space Invaders – and starts destroying things by pixelating them. 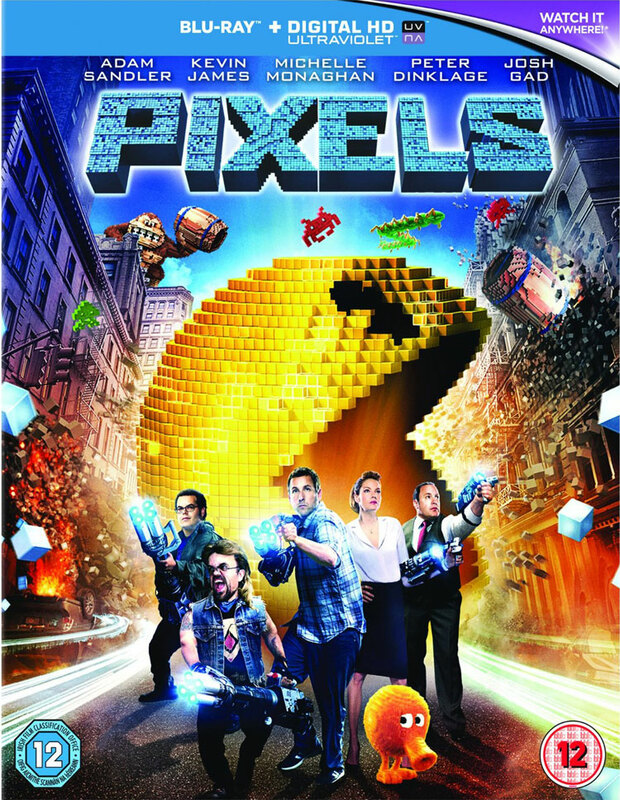 Pixels is a bit of a wildcard for this summer season, hoping that audiences will be hungry for some effects driven comedy, despite a rather mixed record for that type of movie. It is based on a neat concept though and has a good cast. 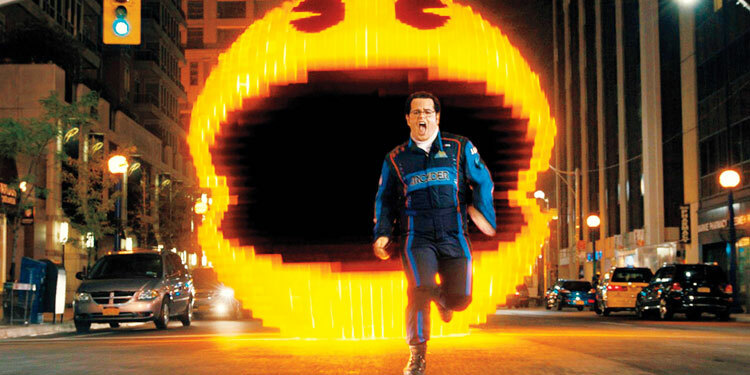 When you watch the trailer for Pixels it undoubtedly looks very weird, but it also looks like it could be a lot of fun. Here’s the synopsis: ‘When aliens misinterpret video-feeds of classic arcade games as a declaration of war against them, they attack the Earth, using the games as models for their various assaults. President Will Cooper has to call on his childhood best friend, ‘80s video game champion Sam Brenner, now a home theater installer, to lead a team of old-school arcaders to defeat the aliens and save the planet. 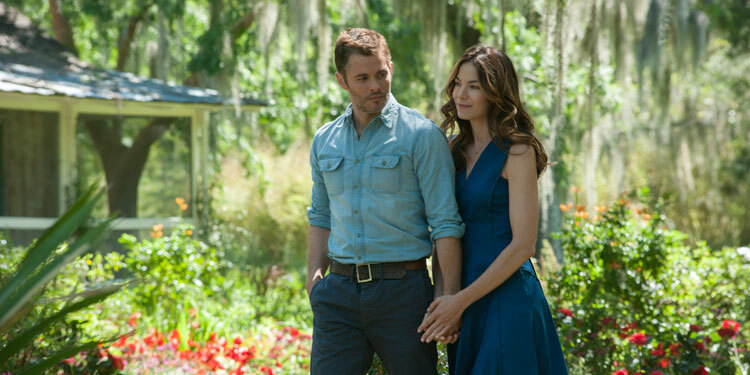 It’s not often that a movie with this much star power doesn’t get a cinema release in the UK, but Playing It Cool has gone straight to VoD, despite the presence of Chris Evans, Michelle Monaghan, Topher Grace, Aubrey Plaza, Luke Wilson, Patrick Warbuton, Matthew Morrison, Ioan Gruffudd, Ashley Tisdale, Anthony Mackie and Phillip Baker Hall, amongst others. So is there something wrong with it? Well, there’s nothing really bad, but its problem is that it has a lot of ambition but doesn’t quite hit any of its marks. Even so it’s a surprise it hasn’t been in cinemas. Have you ever had the sensation where you weren’t sure whether to be emotionally moved or whether to vomit? Well, I do now after watching The Best of Me. Previously called A Many Splintered Thing but now given the more mainstream friendly title Playing It Cool, sees Chris Evans stepping away from shields and S.H.I.E.L.Ds, and heading into quirkily romantic mode. It’s not just him though as the film has a great cast including Michelle Monaghan, Aubrey Plaza, Topher Grace, Luke Wilson, Ioan Gruffudd, Giovanni Ribisi, Ashley Tisdale, Philip Baker Hall, Giovanni Ribisi and Martin Starr. There’s also Anthony Mackie, so at least he’s got a little bit of Captain America familiarity around him. 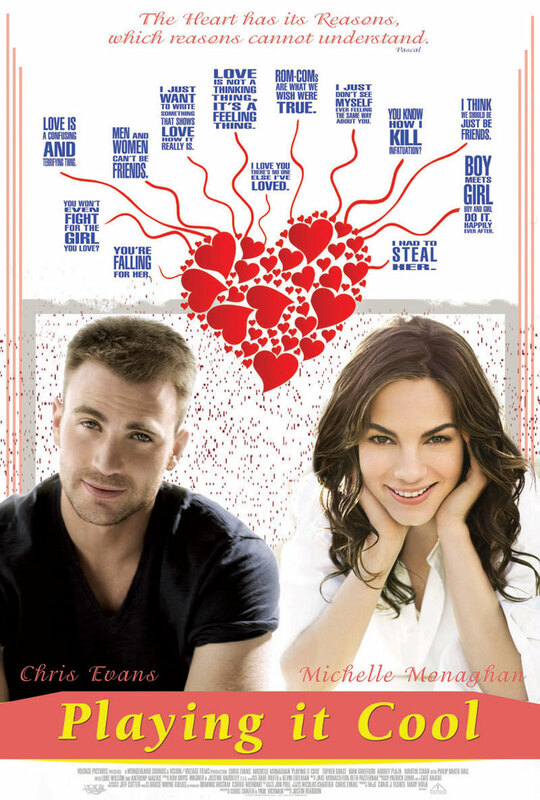 Chris Evans is set to star as a man who meets an engaged woman (Michelle Monaghan), just as he is becoming disillusioned with the prospect of love. He starts a platonic relationship with the woman, in hopes of trying to win her over, despite her relationship.